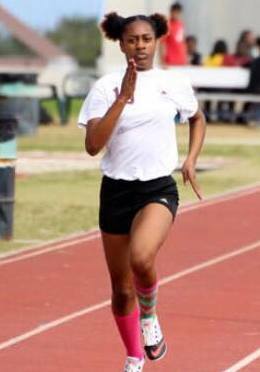 Inshanae Smith represented Victory Christian Center at the Dual Image Orthodontics Last Chance Invitational Track Meet. Smith won the Women’s Varsity 100 Meters clocking a time of 12.79. Smith also won the Women’s Varsity 200 Meters stopping the clock in a time of 25.62.